Bethel Police Officer Martin Oulton is accused of repeatedly punching his girlfriend last week. Credit Courtesy of the Bethel Police Department. 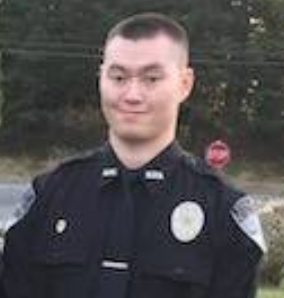 A Bethel Police Officer charged with assaulting his girlfriend is taking time off from work. The Bethel Police arrested Officer Oulton last week. He is charged with fourth degree assault and is accused of punching his girlfriend repeatedly. He is awaiting a court appearance in March. Waldron said that the Bethel Police are conducting an internal investigation into Oulton’s behavior which, depending on what they find, could result in Oulton getting fired. The investigation could last anywhere from a few days to a few months, though Waldron says that he hopes to complete it within the next two weeks.